After placing your order by clicking on a button, please scroll down to the bottom of the page to view the shopping cart and to check out. When ordering books, please email yeshuaschild123@gmail.com with your physical address to have the book sent to, and allow 3 business days for a response. If you have any questions at all concerning your order, please call (231) 729-0526. Thank you! Levine and Amir use the science of adult attachment to guide readers in determining what attachment style they and their (potential) mate follow, offering a road map for building stronger, more fulfilling connections with the people they love. When the hardware of the soul - the brain - malfunctions as a consequence of traumatic physical or emotional experiences or chemical changes, afflictions such as depression, anxiety, loss of focus, and obsessive-compulsive tendencies, among others can result. These problems don't just stay in your brain, however - they can affect your entire life, your very soul. Dr. Daniel Amen’s groundbreaking process begins with a diagnostic test honed in more than 45, 000 brain-imaging studies that allows you to customize a comprehensive program to improve your brain. His scientifically proven program will allow you to transform your own mind – the seat of your soul – for greater self-understanding, better health, work practices and improved relationships. In Ritual Abuse and Mind Control: The Manipulation of Attachment Needs, the academic publishing house Karnac Books and the well-known Bowlby Center partner with integrity and political strength to publically publish material on the treatment of ritual abuse survivors. The contributors to this book are psychotherapists and clinical psychologists with several decades of working with ritual abuse survivors, as well as survivors who share their stories. Daniel J. Siegel presents a groundbreaking new way of thinking about the emergence of the human mind – the process by which each of us becomes a feeling, thinking, remembering individual. Illuminating how and why neurobiology matters, this book is essential reading for clinicians, educators, researchers, and students interested in human experience and development across the life span. This DVD presents the elements of Thrive and applying this framework to working with individuals who have experienced complex trauma. 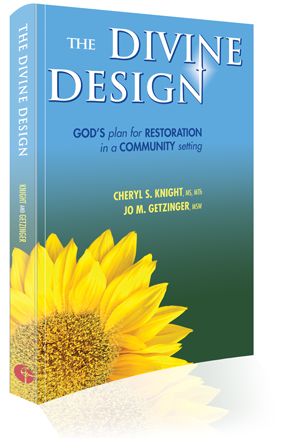 Price $15.99 This book written by Cheryl Knight describes insights about healing and helping survivors from a faith-based perspective, learned over the years as a therapist and pastor . Living from the Heart Jesus Gave You Introduces the THRIVE model for personal healing and building relationships. ‘In Healing the Unimaginable’, Dr. Alison Miller provides the information, tools, and vignettes based upon her years of experience working with this population. She demystifies the methods used by perpetrator groups to create programming and ensure the victim’s belief in their abusers’ omnipotence. She breaks down this complicated topic into its manageable parts, and, most importantly, provides what therapists always really want in their training manuals: a step-by-step ‘how-to’ guide. In this book, authors Jim Wilder, Ed Khouri, Chris Coursey and Shelia Sutton guide us through the journey to joy. The solutions and exercises in this book will teach you the essential skills needed to restore and grow joy with those around you. In this breakthrough bestseller, you’ll see scientific evidence that your anxiety, depression, anger, obsessiveness, or impulsiveness could be related to how specific structures on your brain work. You’re not stuck with the brain you’re born with! Dr Amen’s surprising and effective ‘brain prescriptions’ can help heal your brain and change your life. These prescriptions can help quell anxiety and panic, fight depression, curb anger, conquer impulsive, train focus and stop obsessive worrying. This is a practical, user-friendly guidebook that provides trauma survivors with a toolbox of strategies to help them heal and recover. This revised edition of the popular and highly accessible toolkit incorporates new research about trauma and the process of healing. Complex concepts are clearly explained and the tools are organized progressively, building self-management skills in the most logical and effective sequence. Understanding your pattern of relating to others - what the authors call your 'attachment style' - is the cornerstone for building satisfying relationships with the people you love. In this book, Clinton and Sibcy help you identify and define your first attachments, and discover how to get free from the mistakes of the past, connect better with those in your present, and restore your attachment to God. This book provides extensive documentation of the pervasive, systematic violations of human rights by American psychiatrists over the last 65 years. The funding of the experiments by the C.I.A., Army, Navy and Air Force is proven by the C.I.A. documents and the doctors’ own publications.